The Sly Collection…sneaking into retailers for $39.99! While fans may know Sly Cooper best for his sneaky and stealthy exploits on PlayStation 2, his latest heist will be on PlayStation 3 this fall in The Sly Collection with three re-mastered classics in HD…for less than the price of most retail games! We’re excited to announce that following in the tradition of the God of War Collection, The Sly Collection will be available this fall for just $39.99 MSRP. And what does that one-penny-less-than-40 price tag get you? Let’s start with all three original Sly Cooper titles…this includes Sly Cooper and the Thievius Raccoonus, Sly 2: Band of Thieves and Sly 3: Honor Among Thieves, all re-mastered in glorious HD graphics. Next, Sanzaru Games has added 3D support for all 3 games, as well as new PlayStation Move mini-games which you’ll be hearing more details about very soon. And finally, PSN trophy support will be integrated into the entire collection, with three platinum trophies up for grabs. Sly’s return to PlayStation couldn’t be more grand, and The Sly Collection couldn’t be more complete. We’ll be showing off The Sly Collection this week at San Diego Comic-Con (July 22-25), so be sure to come over to the PlayStation booth and check it out. And, as always, keep coming back to the blog for more information about the The Sly Collection. Am I missing something or has this been confirmed and posted before? Does it come with the Infamous 2 MP Beta voucher? Give us Metal Gear Solid Collection PLEAAAAAAAAAAAASEEEE!! Nice! I was worried because Amazon had it for $59.99 since E3. Oops FFXIII = FFXII. Edit button please! But why, of all games, is this series getting a collection first? Why would you choose this over a Team ICO collection or a Metal Gear Solid collection? Nice! I am definitely a fan of these Collection releases, a great way to experience classics in a new way! 3 platinums is always enticing, too! Great price, I just hope the trophies don’t require the use of 3D or Playstation Move. Day 1! Can’t go wrong with $13.33 per game. Freakin sweet gonna get buy for sure! Nice price too! @BlooodyCow I think this is the first time we see a price for it. Now, for my second dream, a Sly 4? To test further the remastered market, the ICO is must probably a hell yeah that is gonna happen. The metal gear, final fantasy and what not, all those depends on the sales of this remastered collections, so buy the hell out of them and then you will get all the collections you want and you may not want. will it be released in EU? I would prefer software emulated backwards compatibility rather than the slow trickle of PS2 remakes. This is awesome especially for people like me who never played the sly games. I will be picking this up at launch. I hope there will be more Collections coming soon after Sly. Okami would be cool, but it’s only one game. Kindom Hearts Collection sounds Great !!! HEY SONY, how bout you just give PS2 emulation for ALL PS3s..
See, SONY, sneaky bastards. Re releasing these PS2 games. While they should just have emulated backwards compatibility for ALL PS3s. 1) Why in amazon.com says 60 bucks? I don’t mind Sony re-releasing PS2 games in HD. $39.99? Holy crap, it would still have been a great deal at $60.! A day 1 purchase from me no doubt. Can’t wait to play all of these in HD! Ico/SotC collection TGS announcement please! This game should have been $29.99, all PS2 games should be at least $10 since PSOne games are $5. Adding all three games should be $30 bucks, improving graphics is only a touch up. just give me a the socom series and ratchet series, that will make me super happy. Awesome. I know I’ll be grabbing it, now get to work on the Jak and Ratchet collections! All three Sly games were awesome. Fantastic controls, great characters, and not very difficult. As someone who missed out on many of the games of the PS2 era, I’m glad Sony has chosen to make remastered collections. So I just wanna say thanks Sony, now, how ’bout an Ico/Shadow of the Colossus remake? Good price for 3 games. Can’t wait. 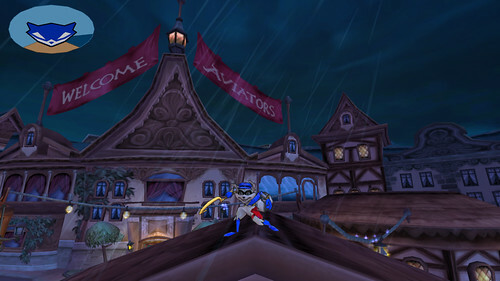 Sly Cooper rocks. I already have 2 and 3 on PS2, but I want to support one of my favorite franchises from the PS2. Wild ARMs Collection please. I know it’s unlikely… but I want it. I never played a Sly Cooper game before, but 3 platinum’s, same creators as inFAMOUS, AND now Move support?! I might be crazy if I pass this up!!! Wasnt the GOW collection 29.99? Other than that. great price point. and will the game at 60fps like the GOW collection?